Bieter is a professor of history at Boise State University who specializes in immigration and Basque studies. His new book, Showdown in the Big Quiet, explores the region’s historical and political history. The Big Quiet, as it’s sometimes known, is a place where miners battled to make their fortunes in Idaho’s largest gold mines, frontiersmen and cattle ranchers came to tame the land, and Basques emigrated to try their hand at sheepherding. It is a county that has attracted fugitives like convicted murderer Claude Dallas, and government agencies looking to build new bombing ranges. Even though nearly 80 percent of the land in Owyhee County is owned by the federal government, there is an enduring belief that individual rights reign supreme. 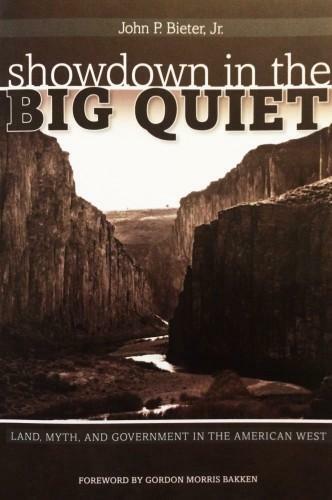 Bieter won a 2015 Idaho Author Award for Showdown in the Big Quiet.